Jocelyn, most often called “Jo”, was born on a Federation starship to Terran officers Robin and Luther Marshall. She was raised on Volan III following the Dominion War when her parents were deployed there to maintain the demilitarized zone and repair the damage caused by the occupation. Growing up among adults and the aftermath of the war, Jocelyn grew up quickly into a well-rounded young Bajoran woman. She enjoyed travelling the planet, mountain climbing, surfing, diving and Springball. Jocelyn also followed in the footsteps of her parents, both engineers, starting with a part-time apprenticeship in middle school and eventually working alongside Bajoran engineers. Her drive to find and solve bigger and bigger engineering problems lead her to apply to Starfleet Academy. Jocelyn was a capable Engineer from the start and learned quickly. She chose to Major in Engineering, specifically Warp Theory, and minor in Operations to coincide with her abilities to multi-task. Taking on board her experience and talent for the work, she was deployed to the Fleet Operations Center to carry on her training while working on some of the most recent fleet vessels and technology in the field. Jocelyn “Jo” Marshall was assigned to the USS Gorkon where she has made her way up the ranks to Lt.JG as an Operations Officer. 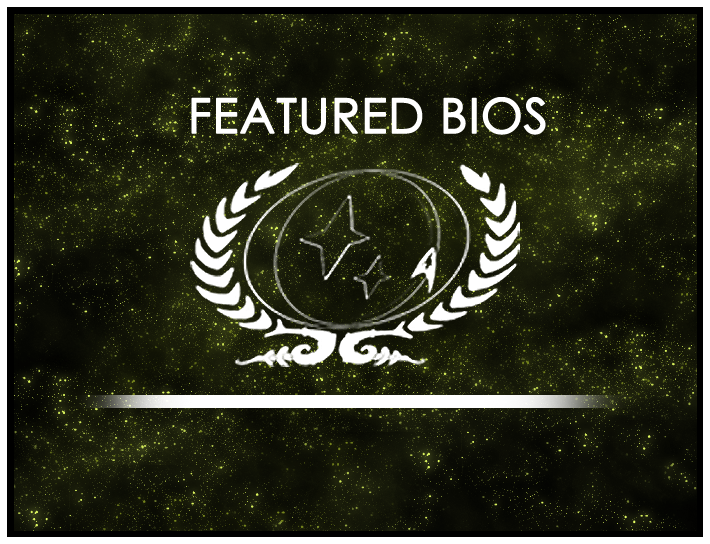 The current round of nominations for the Featured Bio Contest closes May. 1st, 2017 so head over to the forums and nominate someone today!